Grand Suite Mirador de Clavijo 86 meters the dream of all lovers. With wood stove creates a cozy atmosphere and gives great warmth wood is supplied free. 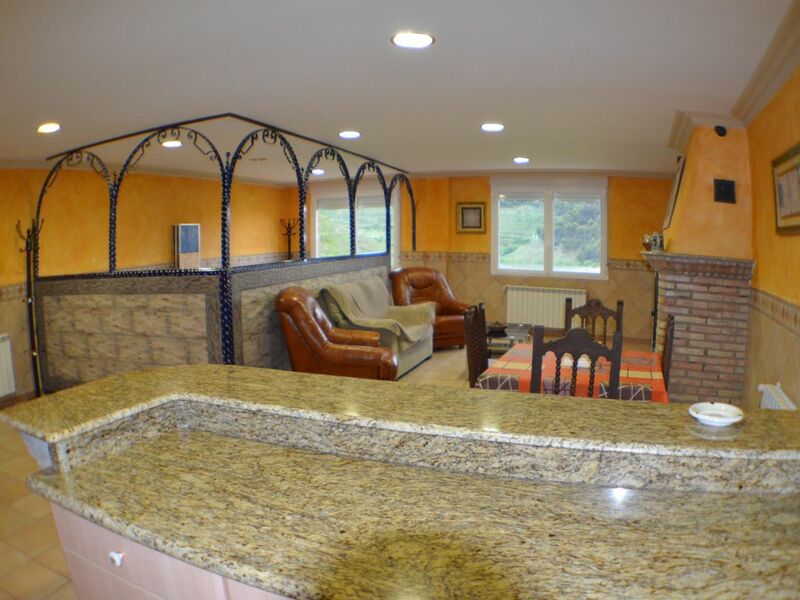 It has a kitchenette with a bar to taste the cuisine and wine of rioja. The living room with two three seater sofas facing the wood stove the living born a twin bedroom 150 which has six arches forge. A cozy atmosphere. In the heart of La Rioja between Iregua and Leza Valleys 16 km from Logroño and 872 m altitude Clavijo is is a mountain village, which makes him special to practice all kinds of activities, mountaineering, hiking, Mountanbike, Climbing.. But what gives it a special value is so close to Logroño, where you can visit the best wineries, know their culture, monasteries, castles, valleys and especially meet people and taste exquisite wines.